12. Historia Kukulki (Pogranicze, 2003)A Polish selection of mystories. Differs from both When Eve Was Naked and TheBitter World. Contains:Příběh s fotografiemi, Obraceč pionýrů, Neřešitelný problém genetický,Reakcionář Kohn, Ze života dnešní mládeže, Můj táta haur a já, FeminineMystique, Rebeka, Příběh o kukačce, Růžové šampaňské, Malá pražská matahára, Píseň zapomenutých let, Již staříEgypťané. Numerouscontributions to many Czech and Slovák literary, film, music and cultural magazines;after 1968 manycontributions to various emigré journals; after 1989 contributions to magazinesboth in Czechoslovakia and abroad. 1. Revue pro banjo (The Banjo Show), 1965. A script featuring Američan folksongs. Director Zdeněk Podskalský. 2. Vědecké metody poručíka Borůvky (The Scientific Methods of Lieutenant Borůvka) 1967-68. A TV seriál based on the stories The Mournful Demeanor of Ltn. Borůvka. Director Pavel Blumenfeld. 3. Vražda v zastoupení. (Murder by Proxy) Czech TV Brno. This was a dramatization of the novel I had written with Jan Zábrana. Made in the last year of the existence of the Communist regime, it made me the only exiled writer to háve a film made in Communist Czechoslovakia. The authorities had of course no idea that I was the author. 5. Prima sezóna (The Swell Season). A five-part TV series based on my novel of the samé name. Directed by Karel Kachyňa. Czech Television, 1994.1 did not write the script. 6. Poe a vražda krásné dívky (Poe and the Murder of a Beautiful Girl). A TV feature film based on Poe’s story “The Mystery of Marie Roget” and on the actual murder of Mary Rogers. Written by myself, directed by Viktor Polesný. Czech Television, 1996. 7. Eine kleine Jazzmusik. A TV film based on my short story of the samé name. Directed by Zuzana Zemanová. Czech Television, 1996.1 did not write the script. 8. Legenda Emóke. A TV film based on my short novel of the samé name. Directed by Vojtěch Štursa. Czech Television, 1997.1 did not write the script. After 1959, when my novel The Cowards had been banned and I had lost my job as editor of Světová literatura magazíne, I published four novels (three detective novels and one childenťs book) under the name of my friend Jan Zábrana, a poet and translator. We plotted the novels together, and then I wrote them. 3. Vražda v zastoupení (Murder by Proxy), Mladá fronta,Prague, 1967; Naše vojsko, Prague 1983; Československý spisovatel, Prague, 1989. Thisnovel contains an acrostic giving the Latin statement “Škvorecký etZábrana fecerunt ioculum” (read first letter of first word of each consecutivechapter). It was made into a TV featurefilm by TV Brno in 19884. Táňa a dva pistolníci (Tanya and the Two Gunmen):Svět Sovětů, Prague 1966. Made into a feature film by director Radim Cvrček inthe Gottwaldov Studios in Moravia in 1967. Awarded the Grand Prize at theChildreďs Film Festival in Moscow. Only articles in languages other than Czech are listed. – “The Artisťs Fight For Freedom”, in Problems of Communism, Sept.-Oct, Washington, D.C.
– “Panorama of (Unionized) Czech Writers” in World Literatuře Today, Vol. 57, No.l, Winter, pp. The New Republic, May 9, pp.27-32, Washington, D.C.
– “The Fear of Literatuře: Writing in a Statě of Siege”, review of the book by André Brink, in The New Republic, April 30, pp. 29-33, Washington, D.C.
– “City After My Own Heart” in William Kilbourn, Toronto Remembered, Stoddart Publishing, pp. – “Two Peas in a Pod: The Nazis and the Communists Sing the Same Songs”,in The Idler, No.10, pp. – “How I Learned German, and Later English”, in Antaeus, Autumn 1989, pp.217-226. tura, XXXVIII, No. 1. pp. 16-39. 1994- “Tenor Sax Sólo from Washington” in Brick, Speciál 50th Issue, Fall 1994, pp.81-82. – “Some Comments on ?Contemporary Tendencies in East European Cinema? by Drahomíra Liehm”. 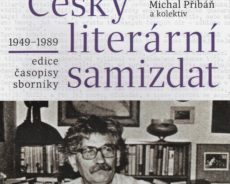 Josip Brodsky, Stanislaw Baranczak, Josef Škvorecký), páper: “Czech Literatuře Since 1945”. 1993 – “…in the lonesome October”, theHumber College CreativeWriting Workshop, Humber College, Toronto 1997 – “Američan Motifs in the Works ofBohumil Hrabal”, Collegium Budapest, Budapest, June 5. Theatre, Toronto, 1980.Awarded First Prize at theMulticultural Theatre Festival in Hamilton, ON, 1980. Taped for Czech TV Kitchener, ON 1980. Miss Rosie: Sixty-Eight Publishers, Corp., Toronto, 1986.A selection of fictitious letters by a Czech housemaid in Chicago, writtenby Bartoš Bittner and printed in the humorous weekly Šotek in Chicago in the1890’s. With an Introduction by theEditor. Made into a Rádio Play by Czech Rádio, 1996.Swing na malém městě (Swing in a Small Town)with Boris Mědílek, eds. (Ivo Železný, 2002) – Story of the amateur swingband Orchestr Miloslava Zachovalaunder the Nazis. 51. How Do Czechs Speak in America? 127.Larsen (ed.). Who Were the Fascists? and Hamilton: Who Voted for Hitler? 130.Epstein: How Good Is Gabriel Garcia Marquéz? Eva Was Naked, How I Learned German and Later English, The Beginning of My Literary Career, The Three Young Men in a Fiery Furnace,A Babylonian Story, The Viewer in the February Night, The Road to the Studios, A Literary Bargain, Sam Writes a Review, Conversations with Oktiabrina, Even Old Egyptians, The Smile of a Pennsylvania Night, A Lecture on an Oceán Liner, Oh, My Papá!, Feminine Mystique, Headed for the Blues. Ivo Železný, 1996. Miss Silveťs Past. Ivo Železný, 1996. The Story of the Unsuccessful Tenor Saxophonist; Samožerbuch (The Autofestschrift). Ivo Železný, 1997. The Miracle Game. Ivo Železný, 1997. A Discovery in Čapek; Poe, or an Adventure in the Literary Science. Ivo Železný, 1998. The Republic of Whores (Tankový prapor). Ivo Železný, 1998. …there’s no Remedy for this Pain (…na tuhle bolest nejsou prášky) A selection of my poetry, edited by Michael Přibáň. 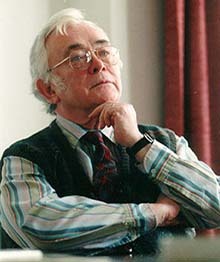 Ivo Železný, 1999. The Strange Gentleman from Providence and Other Essays (Podivný pán z Providence a jiné eseje): They – That Is Us (see p.9 – essys on Američan Literatuře), The Relativity of World-Fame (on Karel Poláček), Working Overtime(see p.10, essays on establihsment Czech Literatuře during post-Soviet-in vasion of Czechoslovakia) Ivo Železný, 1999. The Engineer of Human Souls, Part I. Ivo Železný, 2000. The Engineer of Human Souls, Part II. 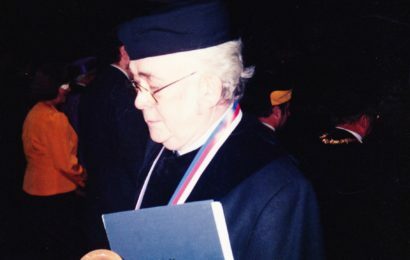 Ivo Železný, 2000. Encounter After Many Years, With Murder. 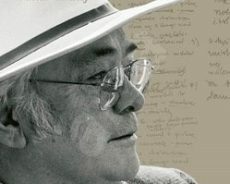 Co-author Zdena Salivarová.Ivo Železný, 2001. War, Peace and the CBC, oř Wie sich die Welt der kleine Moritz vorstellt; Natasha and the Peaceniks). 3. Samožerbuch (The Book of Self-Praise): Sixty-Eight Publishers, Corp. Toronto, 1977; Panorama, Prague, 1991. Co-author: Zdena Salivarová. A history of the Sixty-Eight Publishers, Corp., and comments on some of the books published by the house. 5. Na brigádě (Working Overtime): Sixty-Eight Publishers, Corp., Toronto, 1979. Essays on post-1968- Soviet-Invasion novels published by establishment publishing houses in Czechoslovakia. The volume includes essays on “normalized” poetry written by Antonín Brousek. 7. Talkin’ Moscow Blues: Lester Orpen Dennys, Toronto, 1988; Ecco Press, New York, 1990; Faber and Faber,London, 1990. Essays on jazz, literatuře, film and politics, printed originally in various Američan magazines, and written in English. 8. Franz Kafka, jazz a jiné marginálie ( Franz Kafka, Jazz and other Marginal Matters): Sixty-Eight Publishers, Corp., 1988. Mostly Czech translations of essays in Talkin’ Moscow Blues; some essays omitted, others added. 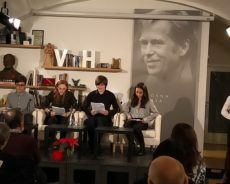 1.Lída Baarová :Útěky; Vlastní životopis Lidy Baarové, jak jej vyprávěla Josefu Škvoreckému(The Escapes; an Autobiography of Lída Baarová as Told to Josef Škvorecký):Sixty-Eight Publishers, Corp., Toronto, 1983. An autobiography of the CzechFilm and Stage Star, who was the femme fatale of Josef Goebbels. 6. Tvář jazzu II. (The Face of Jazz II. ): SHV, Prague, 1970. Edited and translated with P.L.Dorůžka. My name was deleted from this edition because of blacklisting; covers the history from be-bop till the sixties. 9. Swing na malém městě (Small Town Swing) Ivo Železný, Prague 2002.